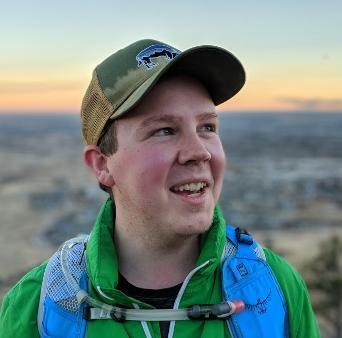 William graduated from the University of Colorado, Boulder in 2017 with a double major in environmental studies and ecology and evolutionary biology. As an undergraduate, he helped collect bees on diploid and polyploid L. tridentata. 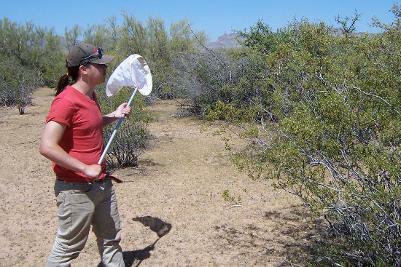 Will also worked on testing hypotheses related to community invasibility using phylogenetic approaches. He presented his research at the Botany meeting in 2016, and the Ecology meeting in 2017, and co-authored a paper in Diversity and Distributions. He is now developing an autonomous machine learning approach to phenotypic trait extraction from digitized herbarium specimens and other natural history collections. Will presented his latest machine learning applications, a package he calls LeafMachine, at the Ecology meeting in 2018. While he continues to refine LeafMachine (an early version of which is available on GitHub), he is also splitting his time working as a research scientist at the Cooperative Institute for Research in Environmental Sciences (CIRES) Center for Limnology. Michelle investigated the importance of polyploidy in structuring Brassicaceae and Rosaceae communities across the United States as part of a NSF-REU in 2016. By combining species occurrence information from the National Ecological Observatory Network, DNA sequence data, and cytogenetic data from primary literature, she found that polyploid species tend to be more distantly related to co-occurring species than diploid. 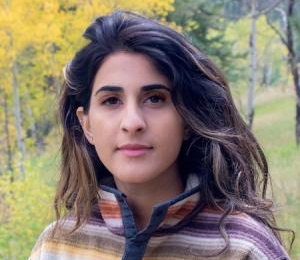 She presented these results at the Botany meetings in 2016 and 2017, where she won best poster and oral presentation awards, and co-authored a paper in Frontiers in Ecology and Evolution. Shelly earned a degree in Biology at the University of Central Florida in 2018 (featured on the UCF College of Science pages! 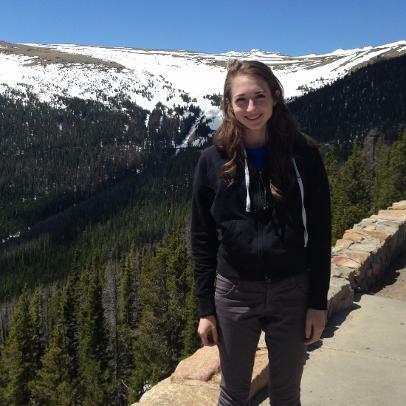 ), and is continuing to pursue her interests in polyploidy and evolutionary biology as a graduate student with Pam and Doug Soltis at the University of Florida. Vivianna investigated how drought-adaptation traits shape Fagaceae and Ericaceae communities as part of a NSF-REU in 2016 using a combination of species occurrences from the National Ecological Observatory Network, DNA sequence data, trait measurements, and climate information from online databases. She presented her findings as a BSA PLANTS Fellow at the Botany meetings in 2016. 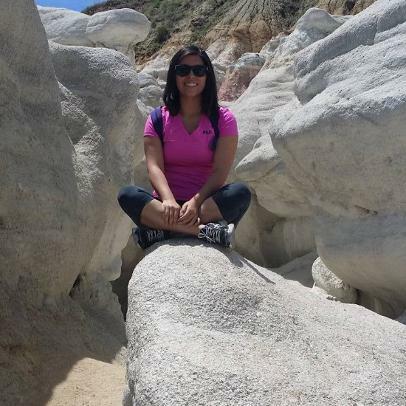 In 2015, she conducted REU research in the California Channel Islands on bioluminescent bacteria. Vivianna earned a degree in Biology at Mount Saint Mary’s University, Los Angeles in 2017 and is continuing to pursue her interests in microbiology as a graduate student at Cornell University. Khoa conducted research into the relationships between L. tridentata and its South American sister species, L. divaricata, using chloroplast DNA sequences obtained from herbarium vouchers with the aim of identifying source populations for intercontinental long-distance dispersals. As a University of Colorado Biological Sciences Initiative Fellow in 2016 and 2017, Khoa presented his research to peers and the science community at University of Colorado research symposia. He is now conducting independent cancer biology research at the University of Colorado Medical Center. Jessica participated in research on the phylogenetic community structure of plant species at sites surveyed by the National Ecological Observatory Network to investigate Darwin's Naturalization Conundrum pertaining to species invasions (are invasive species distantly or closely related to resident species?). In 2016 she was awarded a NSF-REU fellowship to work with Mitch Cruzan at Portland State University, where she is now a graduate student studying hybridization and species delimitation in Ranunculus species. Hannah participated in research on the phylogenetic community structure of National Ecological Observatory Network sites as a Biological Sciences Initiative Fellow in 2017-2018 before spending a summer study abroad in Spain. She is now wrapping up her undergraduate studies in Ecology and Evolutionary Biology. 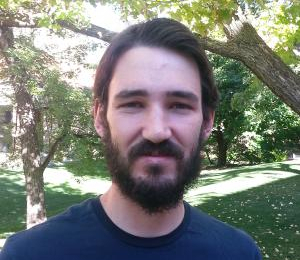 Nathaniel participated in research on the phylogenetic community structure of National Ecological Observatory sites as a Biological Sciences Initiative Fellow in 2016-2017. 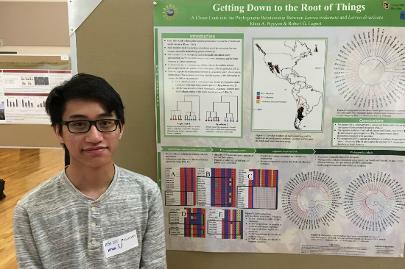 Kaixin participated in research to help resolve the phylogenetic and biogeographic relationships among species in the genus Cestrum (Solanaceae) as a high school student. 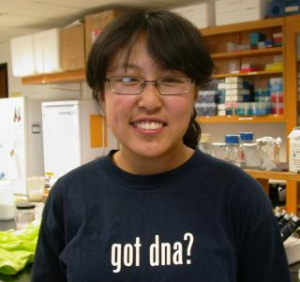 A major part of her research effort was to assist with amplifying the single-copy nuclear gene WAXY, which involved designing new primers and troubleshooting PCR protocols. She is now an undergraduate in Engineering at CU-Boulder. Purity (left), Carter (right), and Haydar (not pictured) conducted independent research into whether diploid, tetraploid, and hexaploid L. tridentata had different water use relationships. They conducted their research in the greenhouse on small plants collected from the field, gaining first hand experience designing and undertaking an experiment, while also managing live plants. They also co-authored a manuscript describing their results. Maddie participated in research helping to collect bees on diploid and polyploid L. tridentata in natural areas of co-occurrence, and also helped to investigate leaf guard cell size differences among the different cytotypes.